Brigitte operates an accounting firm in Vermont and is the author of several recordkeeping and tax books. 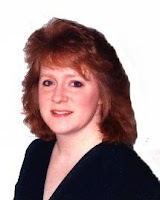 She is a member of the American Institute of Professional Bookkeepers and the Vermont Tax Practitioners Association. What prompted you to write Bookkeeping Basics for Freelance Writers? The idea for this book was born in 2006 when I was answering questions from writers that were part of online forums I belonged to. Many of the same questions came up so I began to keep the answers in a file on my computer. As this file grew, the concept of writing a book about the financial side of a writer’s life became a reality. Writers had many important questions to ask, but no single source for answers. I created this book to be that source. It’s an easy to understand guide to organizing a writer’s financial life. Tell us what Bookkeeping Basics for Freelance Writers is about and let us know where we can buy it. This book add resses issues writers face daily such as how to deduct travel expenses, determine taxable writing income, and claim home office deductions. Navigating through the recordkeeping required for a small business owner can be difficult. This book is written exclusively for those of us who earn money by writing. Readers will also find that each part of this book works together to assist in forming your overall business plan. Each chapter steps through a comprehensive plan that works as a building block towards a successful writing business. It is available through Amazon.com and any local bookstore can order it by ISBN: 0963212382. Tell us about the other books and works you’ve written. I’ve written a series of six books on recordkeeping for Home Daycare providers which can all be found online through Amazon and through my publisher’s web site. One of these books has been translated into Spanish, which was a fun experience. My other title in print is Federal Income Tax for Window Cleaners. How do you manage to simultaneously run an Accounting Business and work as a freelance writer? Thankfully, I’m an amazing multi-tasker and I enjoy using both sides of my brain. I like working with numbers and solving problems. There is a clear black and white in this line of work. The numbers either balance or they don’t. With my writing, I venture into the more creative side of my brain. In this part of my life, I can work with a full color spectrum of thoughts and ideas. No more clear-cut right or wrong – there is plenty of room for innovation. I like the balance in my work day and in my life. An overcrowded mind. Sometimes, ideas are popping left and right in a frantic fight for my attention. I find there are so many things I want to write, but grabbing a single idea can be challenging. I’m working on marketing this book for the rest of 2009, but have ideas for the next book. I can tell you it will be non-fiction and deal with the world of finance. The most important thing you can do as a writer is to become organized. There are many books available on how to organize your writing, but this is the best book available to organize the financial side of your writing business. Since it’s written by an author who is also an accounting expert, you are getting the best advice from both professions. What writers organizations claim you as a member and what benefits do you derive from membership? I have been a member of writing organizations in the past and enjoyed benefits such as newsletters, ezines, and advertising through their directories. Currently, I am a member of the American Institute of Professional Bookkeepers, the Vermont Tax Practitioners Association, MomWriters, Write From Home Moms, Digital Women, and the Women Business Owners Network. Being a writer can be isolating at times. I find the greatest benefit of these memberships to be the camaraderie. Networking with fellow writers brings me out of my home office and helps me feel more connected to the writing world. I have launched a Virtual Book Tour which began on June 20th with a radio interview. 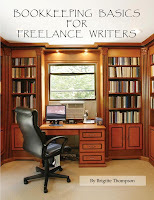 I will be visiting several web sites and blogs to share information about my book as well as tax tips for writers. The tour stops are listed on my Writers In Business blog and we are working to line up more media outlets. I live in Vermont with my husband and three children. I’ve been self- employed for 17 years and am very thankful to have found a way to balance everything. I enjoy what I do and don’t consider it work. Thank you so much for welcoming me to your site. I'm happy to be here and encourage visitors to contact me with any questions.